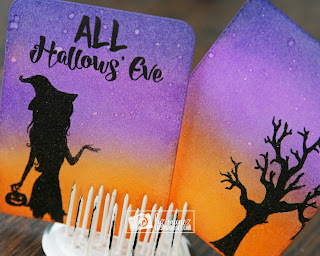 Liz's Paper Loft: MCT Scrapping the Little Things ~ hallows' eve! so of course when Emma designed these stamps I was thrilled! I think I've mentioned this before that sometimes I create pocket cards, so they are ready when I have pictures. If I don't ever use them for scrapbooking then I can still use them on a card base. 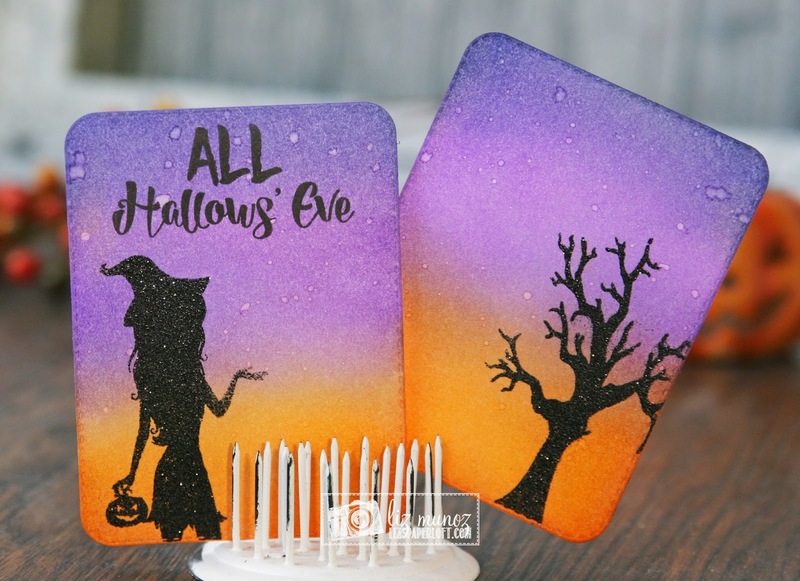 These pocket cards were so quick to create. 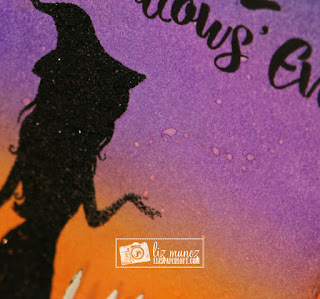 After die cutting the card, I ink blended 3 colors. Once I was sure they were dry (I use my heat gun to speed up the process) I heat embossed the witch and tree with black glitter embossing powder. Then I sprinkled water drops to create "stars". I'll see you on Thursday for another project. These are just gorgeous!!! I'm loving those colors! OMG Miss Liz....Oh YES your Pocket cards are Faboolous!!! You definitely did one Wicked Swesome Creative job!! Your coleus are so Bootiful!! YOU so ROCK!! Beautiful inking job...I don't think I would have thought to use these...beautiful! Pictures will look awesome on them. The sky is so pretty I think I would have troubles covering them up.